Lionel Carter postcard regarding Eddie Plank card. 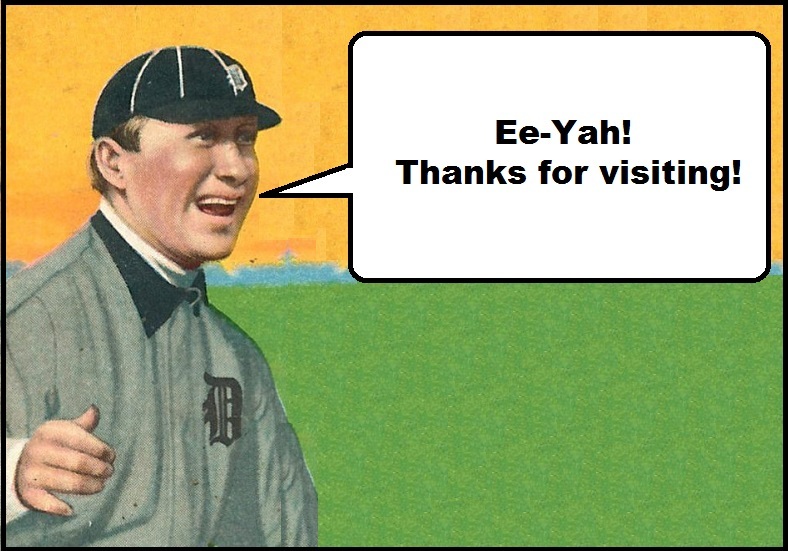 Sorry to be so late with your request for information on the Eddie Plank card, but I’ve been busy with the auction of my card collection which I was forced to sell by the Evanston police after I left an outer door unlocked and was faced with an unwelcome guest who was 50 pounds heavier than I am and 50 years younger (I’m 90). 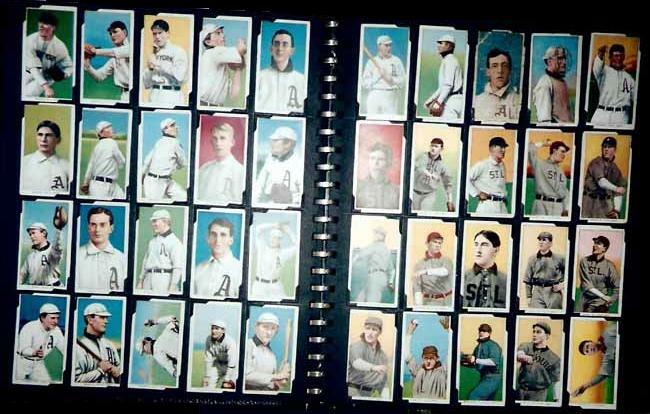 They took $420,000 in baseball cards which the police recovered. My valuable cards were mounted in albums and in the book case and mistaken for a set of books. I would never have sold them! As for Mr. Plank, I purchased him in Charles Bray sale of 440 lots in the Card Collector’s Bulletin of May 10, 1957 listed as a cigar box full of baseball cigarette cards for $5.00! Figured I had nothing to lose and bid $5.00 and was surprised to get them. All fair or good condition except Plank. Nearly threw him away. Glad he has a nice home!